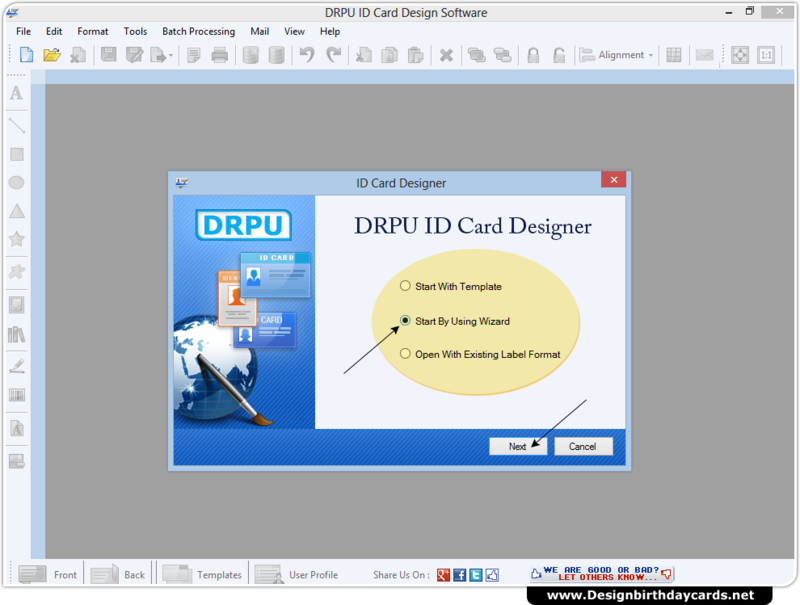 Choose designing mode and proceed to next screen. 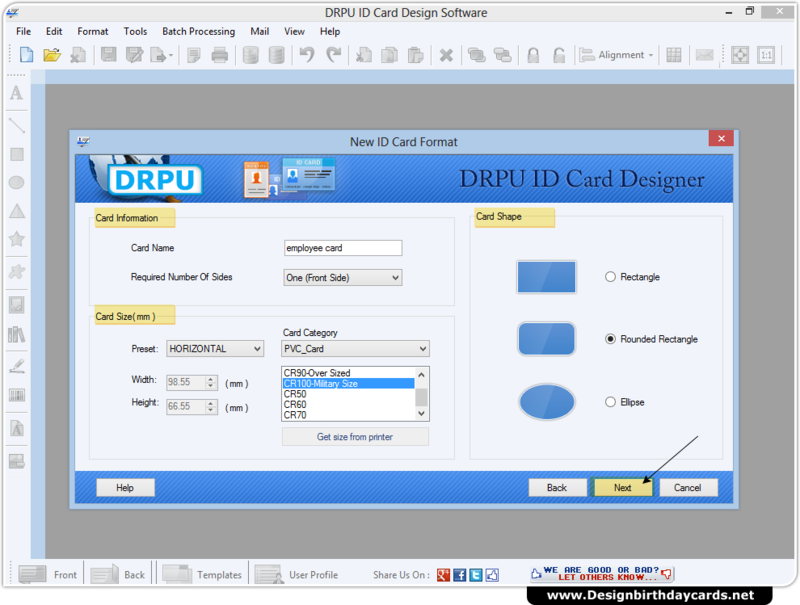 Specify card name, size, shape and other attributes as per need. 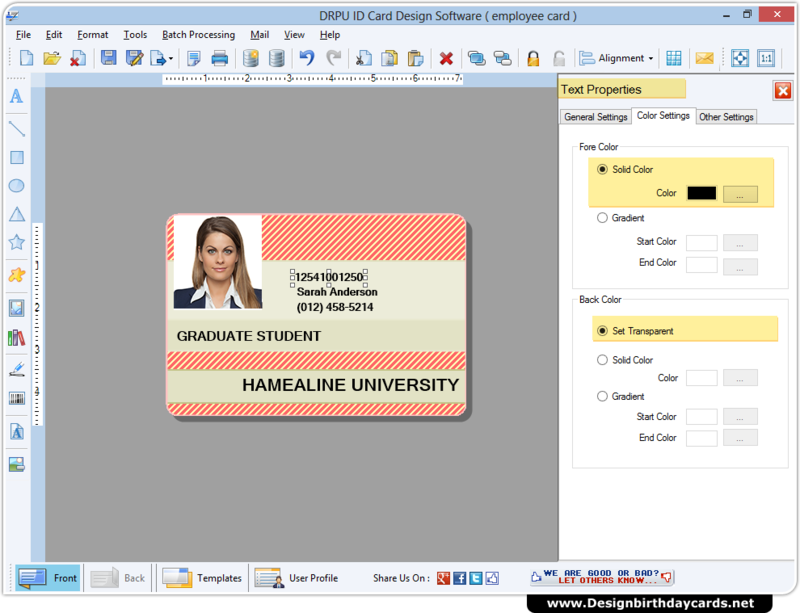 Select Background color and border then click on Fill user profile. After entering custom details go to 'OK' to proceed. 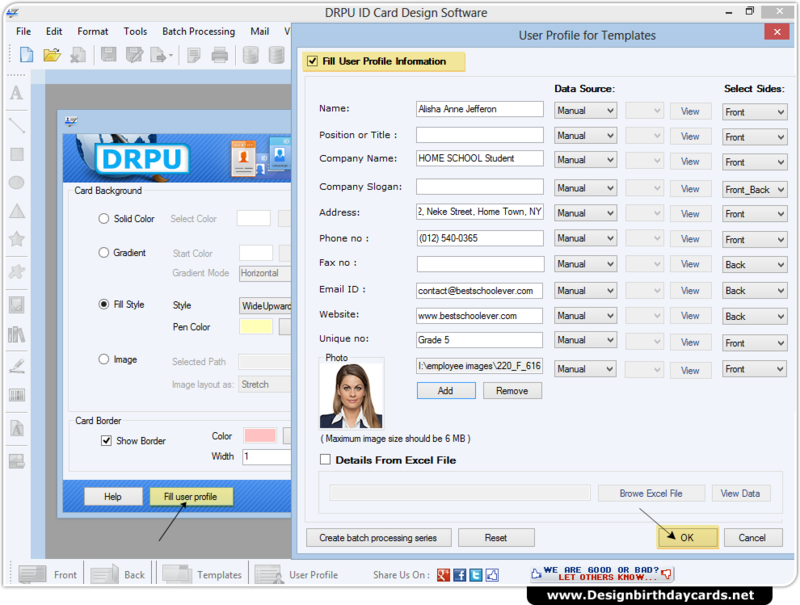 Give final touch to your ID card using text properties from right panel.